J. Cole’s latest album, KOD, has officially reached platinum status, achieving sales of more than 1 million units in the US. The record was released in April this year, and debuted at number one on the Billboard 200. In its first week alone, KOD had album equivalent unit sales of approximately 397,000. It also broke streaming records on Apple Music and Spotify, with over one billion combined streams. Only 33 albums have been certified platinum this year, according to the Recording Industry Association of America (RIAA), including Cardi B’s Invasion of Privacy, Post Malone’s beerbongs and bentleys, Travis Scott’s Astroworld, and Black Panther: The Album. 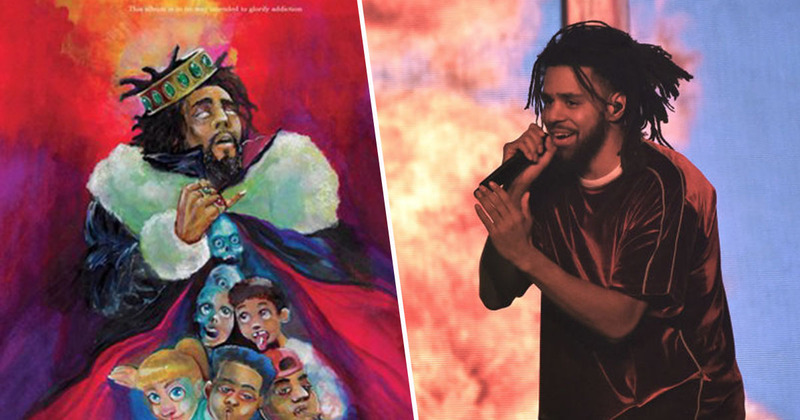 KOD is the follow-up to 2016’s 4 Your Eyez Only, which also debuted at number one. Its title is said to stand for three things: Kids on Drugs, King Overdosed, and Kill Our Demons. US certifications (@RIAA): @JColeNC, KOD Platinum (1,000,000; album). The album once again featured no guest artists other than Cole and his alter ego, Kill Edward, giving further fuel to the infamous ‘platinum with no features’ phrase. As well as dropping his own – now platinum – album, Cole also made guest appearances on a number of other artists’ tracks this year, including J.I.D’s Off Deez, and Anderson .Paak’s Trippy. Rich The Kid has also hinted that Cole will be appearing on his forthcoming album The World Is Yours 2, set to be released in January 2019.